In an interview Friday, Luis Guillermo Solis said he tried to govern as responsibly and as dedicated as he could and can only ask forgiveness of those he disappointed. 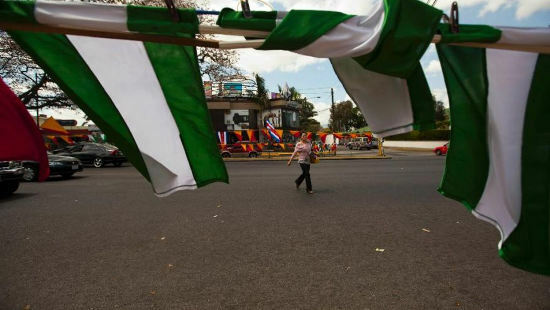 With only days left in his term as the 47th President of the Republic, Luis Guillermo Solis, apologized to those who voted for him in the 2014 elections and who, in one way or another, regret today having given him support. In an interview that with Noticias Monumental, this Friday, Luis Guillermo Solis, said he tried to govern as responsibly and dedicated as he could and can only ask forgiveness of those he disappointed. Photo Alejandro Gamboa Madrigal. “I am very sorry, think about better the vote next time”, the president responded during an interview with Randall Rivera, director of Noticias Monumental. Solis said that he only has to apologize to those who feel they made a mistake by giving his vote to lead the first government of the Partido Acción Ciudadana (PAC). “What I have done is to try to govern as responsibly and as dedicated as I could. If I disappointed one person or many, I can only ask their forgiveness,” said the president during the interview, this Friday morning. Solis argued that, at his discretion, the work is done and an analysis of it is available, but he indicated that many do not want to analyze it and many do not want to accept it, or hate it just because. “I did everything I could, I spent as much time as I could,” the president emphasized, while saying that he did meet the expectations of some and not others. He added that he did meet his own expectations. As mitigation of his objectives, he argued that there were natural emergencies, migrations and “fierce” resistance in “bureaucratic, media and business” sectors to the promised change. He also argued that there were multiple sectors, even in his party, who have always demanded to be more radical in his positions, though Solis defines himself as a restrained person. “I continue to resist those demands to be more extreme,” he said. Solis said he did not let the 1.3 million votes that put him in the presidential chair. Luis Guillermo Solis also denied, in the opinion of Rivera, having regretted at some point his decision to hold the highest office in the land, not even at his most critical points, “like the latest editorial by La Nacion,” he said. 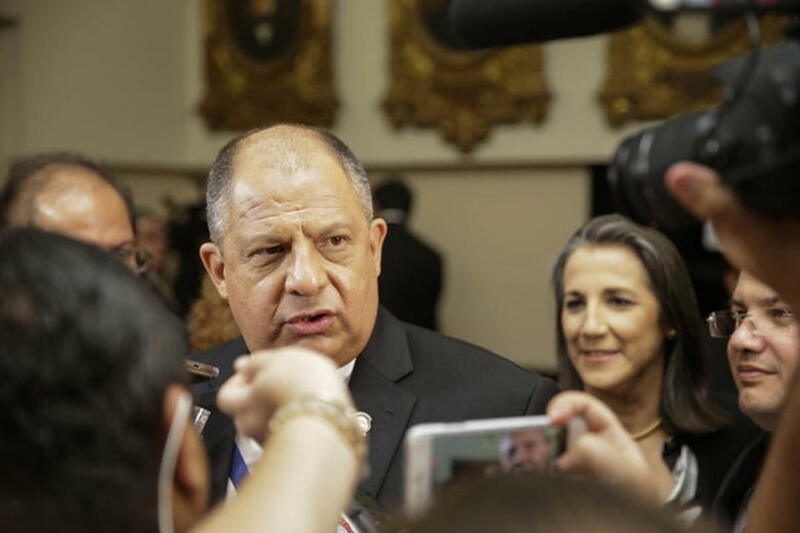 The editorial, titled, “the last disguise” (El último disfraz) says Luis Guillermo Solís disguised himself as a hero before the legislative plenary, ending four years of masquerade.